J.B. & S.M. 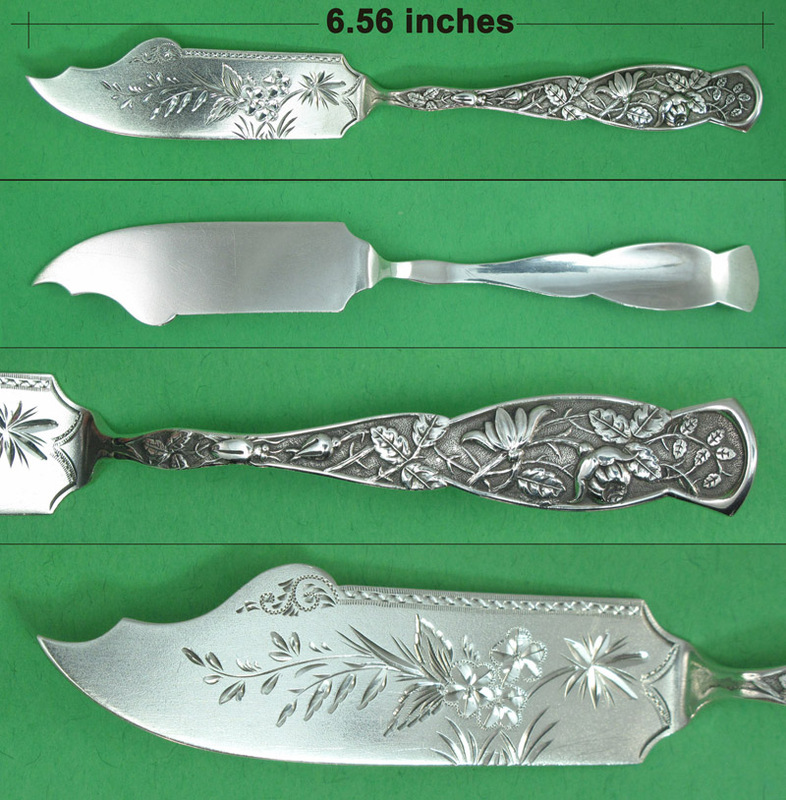 Knowles sterling butter knife in the Rose pattern patented in 1881. Excellent condition with no monogram. 6.56 inches long. Weight .91 troy ounces.